Charlton Comics went out of business in 1985, but now a new comic book inspired by that company and featuring some of its characters is now being published! Mort Todd is the spearhead responsible for The Charlton Arrow #1 which features all-new story and art from, among others, John Byrne and Joe Staton (who both got their professional start at Charlton). I have placed an order via paypal for my copy and will report more when the magazine arrives in the mail. More information is available over at this website. 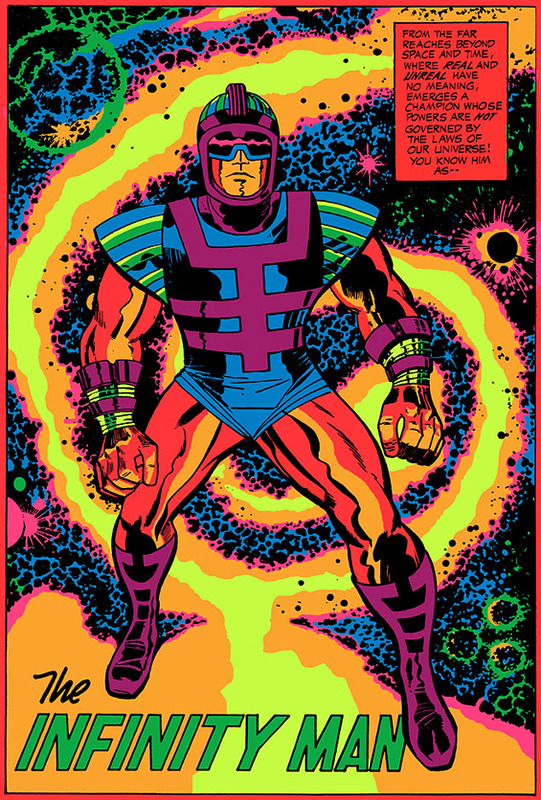 As you can read in this article, the Newsarama website feels that DC Comics should devote an entire world of its universe to the creations of Mr. Jack Kirby and that it should be called Earth Kirby. Great idea! That same article mentions that DC has announced an upcoming ongoing new comic to be named Infinity Man and the Forever People. Hmmmmm. All the gossip columnists and broadcasters like to toot their horns when one of their predictions come true, don't they? Back here I predicted that the not-yet-completed Forever Evil storyline would be the way DC brought The Forever People into current continuity, and that may yet prove to be correct. If you go ahead and read David Petti's comment over here you'll see that that gentleman and I are on the same page regarding this matter. Anyway, The Forever People are very important to my personal history of comics (as I've written back here and numerous other times) and it will be nice to have them back again. Captain America Sketch by Jack Kirby? 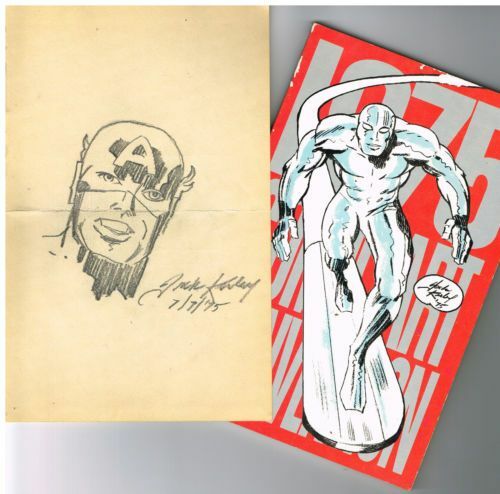 Up for bid on ebay is the above pencil sketch, allegedly drawn by Jack Kirby in 1975. But nobody has placed a bid. So maybe I'm the only person who thinks the sketch might truly be by Mr. K.
At least five individuals besides myself believed in the authenticity of the drawing because a bidding war among those five culminated with a winning bid of $444.50. Congratulations to that top bidder! Calvin and Hobbes is my favorite newspaper comic strip of all time. Not much has been seen from Bill Watterson since he retired his strip in 1995, but now Mr. W has provided some artwork for the documentary entitled Stripped. The new drawings may total up to just one or two pieces, but one or two crumbs is a feast to a starving man. I will be watching the DVD of Stripped when it is released.